Within a year of my mother Johnnie Mae Gray Little saying those words to me, she had become an ancestor. That is one of the few statements that I can still hear in her actual voice, and I have spent the past 25 years, through births of my own and many others, chasing her words and trying to figure out what she would have shown me. Daughters of the African Diaspora has been birthed from her inspiration. 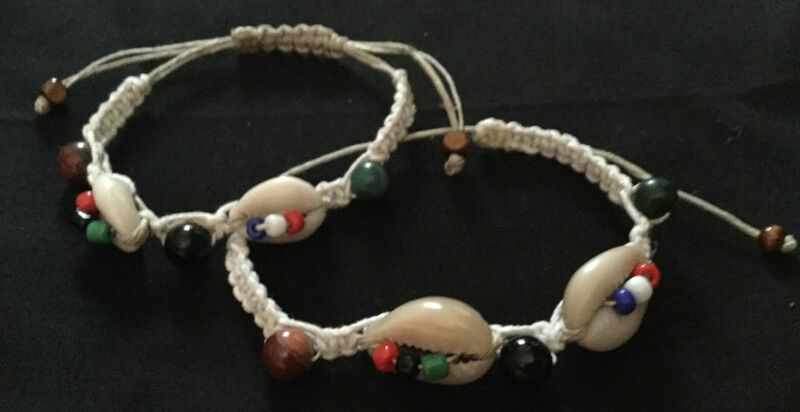 Daughters of the African Diaspora Alliance involves women of African descent who are committed to preserving, protecting, and promoting indigenous knowledge systems from Africa through traditional birth practices, by utilizing resources within nature, and by practicing skills that allow people of African descent to sustain themselves. It recognizes the daughters of the African Diaspora, spread all over the Western Hemisphere, who have dedicated their lives to learning the traditions of their ancestors, understanding the needs of birthing women's bodies, and using ancient knowledge to heal and PROTECT WOMEN. Read below to see how you can get involved. Birth workers of African descent who provide services for and work with women through various healing modalities throughout the childbearing year. Granted lifetime access to the Africa to the Diaspora audio/video interviews. The "Africa to the Diaspora" Birth and Postpartum Project is a collaboration between Harmonic Connections PLUS and Sankofa Birth which is intended to "reconnect knowledge and skills of women of Africa to the women of African descent who have been scattered around the globe." (This resource is only available for members of D.O.A.D. Alliance. Part of the agreement with those interviewed was that the interviews would only be made available to women of African descent. Because of that, they were willing to share more intricate details about their customs. In the future, there are plans to offer a compilation of highlights that will be offered to the public). (A developing opportunity for the future) Possibly become a contributor to a publication to be shared internationally highlighting the birth work of African women of the Diaspora via written articles, videos, photos, etc. Granted lifetime access to the Africa to the Diaspora audio/video interviews. 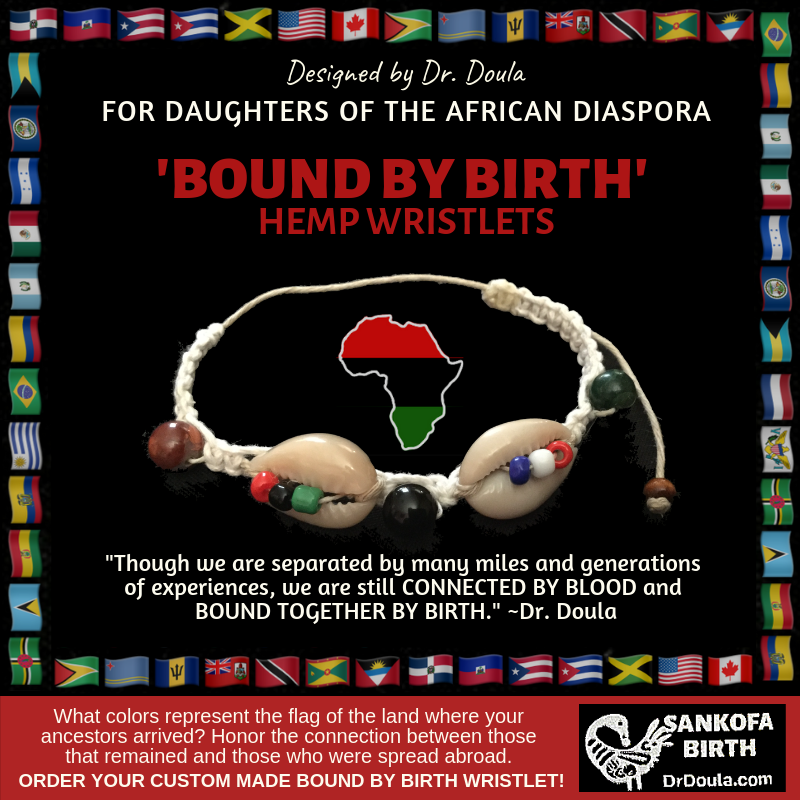 The "Africa to the Diaspora" Birth and Postpartum Project is a collaboration between Harmonic Connections PLUS and Sankofa Birth which is intended to "reconnect knowledge and skills of women of Africa to the women of African descent who have been scattered around the globe." Receive your custom crafted "Bound by Birth” Wristlet. NOTE: The D.O.A.D. Alliance is a platform to showcase women of African descent and the work they are doing to preserve and protect sacred birth practices. Your photo is requested for inclusion on our social media platforms and directory. However, if you prefer to not be featured you may indicate your preference on the form below. We still request that you upload a photo of yourself. The requested donation remains the same for both options. FIRST: Make your tax deductible contribution. Daughters of the African Diaspora Alliance is a subsidiary of Harmonic Connections PLUS, a 501c3 non-profit organization, and contributions are tax deductible. You may make a contribution toward participation in the D.O.A.D. Alliance or make a contribution toward the work. Requested contributions for participation in D.O.A.D. Alliance will increase in May 2019. SECOND: Fill out the form below. The information you provide will be used to create quote/photo cards to be shared on social media platforms. Check your email for a receipt of your contribution. Your contribution will be confirmed before the the Photo Quote Cards are created and posted on social media or access is granted to any other D.O.A.D. Alliance benefits. Please provide a nickname you may be known by OR your business name. Only one will be used. Indicate the western country/territory of the African Diaspora related to your family ancestry. Only select one (1). ​Visit @DOADalliance social media links to see the profile quote cards at work. ENVISION YOURSELF on these cards being shared with other women of African descent around the world. IMAGINE NEW OPPORTUNITIES for connection and support. Daughters of the African Diaspora. 151 likes. An alliance of women throughout the African Diaspora who are committed to preserving, protecting, and promoting indigenous knowledge systems from Africa. Learn about Daughters of the African Diaspora. See who you know at Daughters of the African Diaspora and get connected.